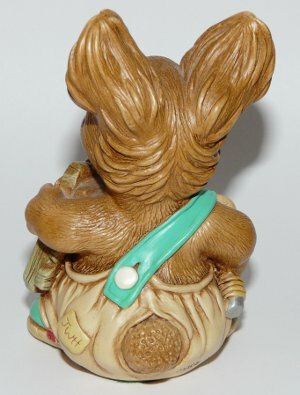 PenDelfin rabbit Tom, who was a gift piece for PenDelfin Family Circle Members and was only available in 1997. The PenDelfin Tom rabbit was designed by PenDelfin Founder Jean Walmsley Heap. Tom is happily hammering in his Family Circle sign with the PenDelfin Club year stamp in red. 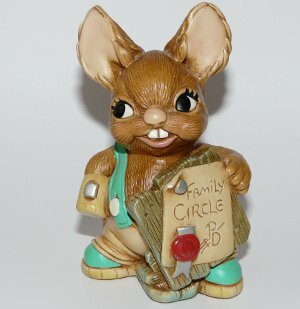 On his base this PenDelfin rabbit has his original PenDelfin Family Circle Tom label and green felt. Condition: Excellent overall condition. A lovely example of a PenDelfin Club piece.